Lot Detail - Curiosities for the Ingenious: Selected from the Most Authentic Treasures of Nature, Science, and Art. 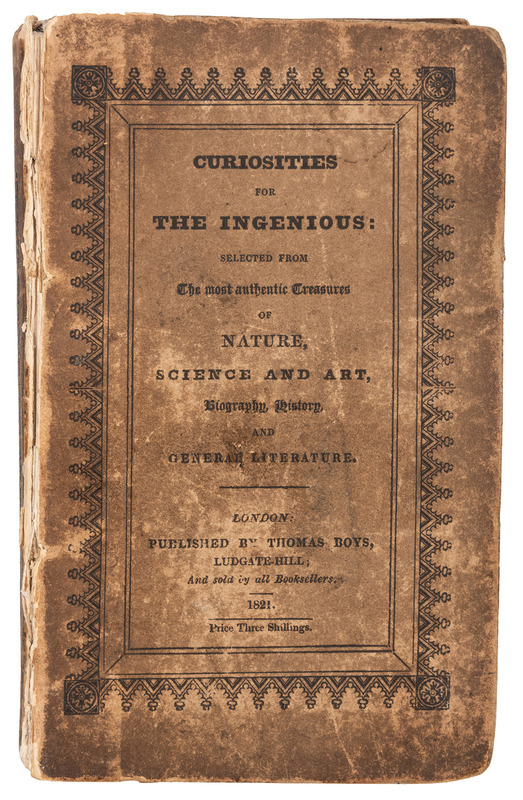 Curiosities for the Ingenious: Selected from the Most Authentic Treasures of Nature, Science, and Art. 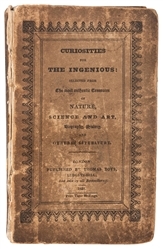 Curiosities for the Ingenious: Selected from the Most Authentic Treasures of Nature, Science, and Art. 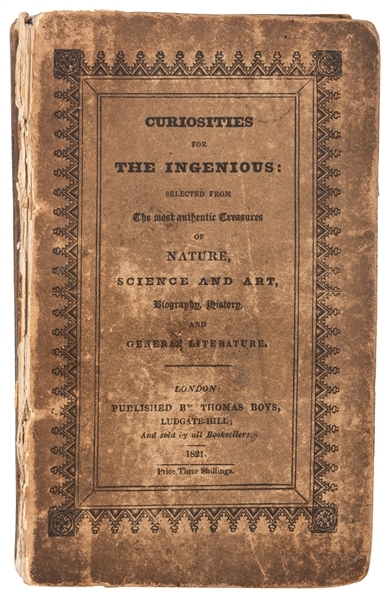 London: Thomas Boys, 1821. First edition. Original printed grey boards. 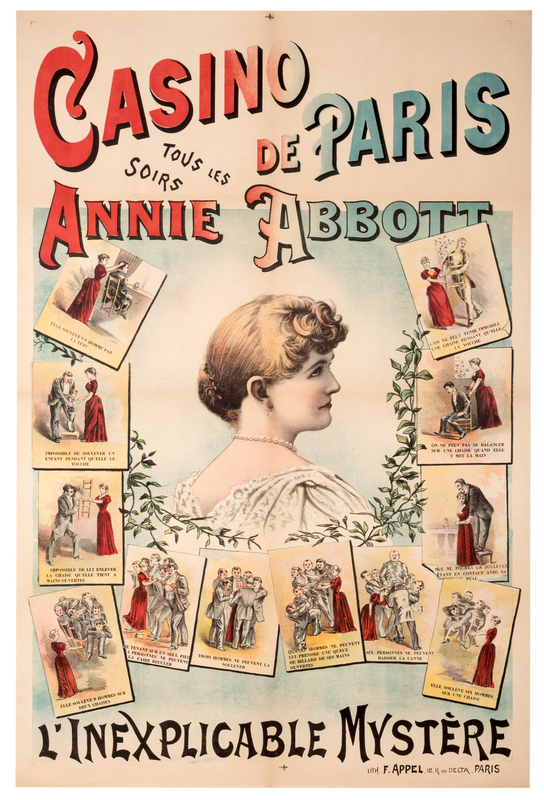 Frontispiece, engraved plates. 8vo. Ex-libris J.B. Findlay (his bookplate). Front cover detached, spine worn and chipped. Toole Stott 1018.